Speedo is synonymous to Australia’s beach culture. It features a range of swimwear products that reflect and are inspired by the typical Aussie beach life - smart, stylish, and comfortable. Speedo for a long time now, has been the leader in the world swimwear and swimming accessories. From the classic briefs to the high performing LZR racers, or the Futura Biofuse Goggles, Speedo has something for swimming enthusiasts across all ages and gender. With continuous innovation to bring both style and comfort to its customers. 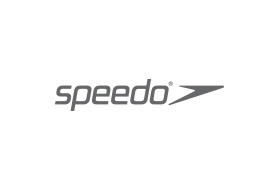 Founded in 1928 in Sydney, Australia, Speedo has come a long way from being just a swimwear retailer. It now has assumed much more important role in the sports fraternity and has on-going sponsorships with some high profile athletes like Libby Trickett, Eamon Sullivan, and Leisel Jones and the Australian Olympic Committee. Speedo does not only cater to hard-core swimmers, but also to those looking for swimwear for a day out at the beach. Producing fashionable swimwear and swimming accessories has become synonymous to Speedo. At the Chadstone Speedo store you can find everything you need, to start your swimming routine. If you are an ace swimmer you can dabble in some of Speedo’s specific offerings aimed for the swimming aficionados. If you like to swim, Speedo lets you swim in style!